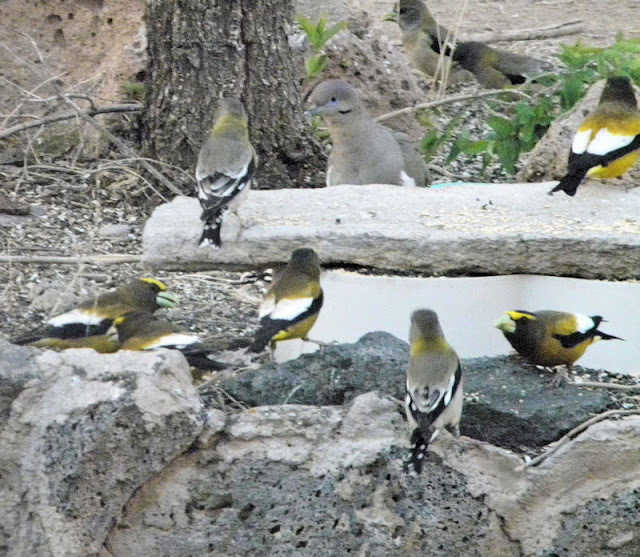 Male and female Evening Grosbeak with dove looking on. Males more colorful. Probably a female Evening Grosbeak at my back yard feeding station. Those are very cute little birds. 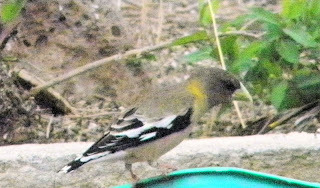 Right now I have finches and doves, but haven't seen anything like yours. I find it very cheerful to look out and see birds feeding.